If you’ve seen your show on the New and Noteworthy section of iTunes, you’re doing a good job. But that is not the end of it. Your next goal is iTunes’ podcast rankings. 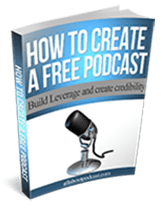 In this post, I’m going to show you how to check for iTunes podcast rankings and also give you a couple of other ways to access this information. 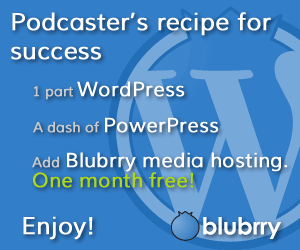 If this is your first time to check for podcast rankings, here’s how to do it. 1. Open iTunes. Click on the podcast icon on the upper left hand of your screen. 3. Scroll down and look for TOP PODCAST on the sidebar. What you will find in this list is the top 10 shows in iTunes. 4. To see the full list of top podcasts based on categories just click on the TOP PODCAST link. This will open a new page and will give you an option to choose specific categories and even top episodes. Just click on the dropdown arrow on the right corner as shown in the image below. The rankings are listed and in this list, number one is Startup under the category, Business. Take note that the listings on these top podcast/episodes may vary depending on the “iTunes Store” you are looking at. Be sure to check the store country you are checking to make sure you are looking at the right rankings. To do that, scroll down until you reach the bottom of the page. Look for the flag icon, and click on it. Yes. They are the default US iTunes rankings. I wanted to launch a basic version and see what features people want me to add. If there’s enough of a demand for country selection then I will be happy to add it. If you don’t like to see all the rankings but only want to see your show’s performance, then podcast rank report will work for you. Podcast rank report is a daily email report of your iTunes rank. You can setup the reporting by going to Regan’s podcast rank report app and just follow the prompt. Here’s a sample of an emailed rank report. For those who are curious about trends and rankings, iTunes Charts is the better place to go. It provides you not only the list of top podcasts in various iTunes stores but it also gives you some important info like new entries, climbers, fallers, non movers and re-entries. Do you have other sources on how to get a good info on podcast rankings? Let us know in the comments.